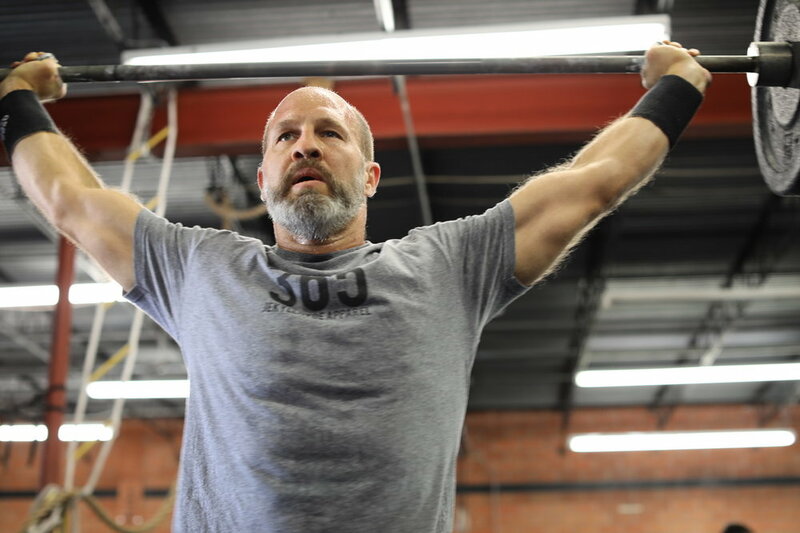 After spending over 10 years in the US Air Force, Phil found CrossFit in 2010 while searching for a strength and conditioning program similar what he'd been doing with the military. Phil immediately fell in love with CrossFit, the challenge it provides, and the community. It even helped him lose over 50 pounds! He particularly enjoys helping athletes learn skills and movements for the first time, including things they never thought they could do! Teresa began participating in sports at a young age beginning with gymnastics, and later basketball and track. While in college, she took part in Division I athletics as a heptathlete and hammer thrower on the Rice University track & field team, while earning a 5 team WAC Championships and a BA in Health Science. She later went on to earn a masters in Education Psychology from the University of Houston. Teresa found CrossFit in April of 2010 after searching for a fitness routine that would provide the intensity and fun that her globo gym workouts were missing. Since then she has fallen in love with the sport of competitive CrossFit. Teresa has competed at the Regional level twice on a team, and 4 times as an individual competitor. She has also qualified twice for the CrossFit Games in Madison as part of the the Masters 35-39 division. After spending 6 years as a middle school teacher, coaching CrossFit classes blends her two loves of teaching and fitness. She is passionate about helping others reach their goals and believes that CrossFit offers the physical and mental challenge that allows its participants to push themselves beyond what they thought possible. Grace is a CrossFit Level 1 Trainer and joined CFCH in the fall of 2013. She has been involved in sports from a young age, including softball, basketball, track and golf. During college, she stayed active by participating in various intramural sports. In her senior year, she competed and placed 3rd in her first half marathon. She has a B.S. in Biomedical Engineering (2011) from the University of Missouri and a Master's in Biological Engineering (2013) from Rice University. After graduating in 2011, Grace moved to southern Cali to work for a small medical diagnostics company. She had been researching CrossFit and doing travel WODs for a few months, and finally decided to take the plunge in 2012 by joining her first CrossFit box. She hasn't looked back since. Within a few months, Grace found herself drawn to coaching and teaching people about holistic fitness and nutrition. She spends much (probably too much) of her free time nerding out on weightlifting and gymnastic drills, mobility, nutrition and anything health related. She finds the greatest satisfaction in helping others reach new heights and making their impossibles possible. Logan, a former disgruntled investment banker and sporting goods retailer, found CrossFit in early 2009. With some friends, he opened a CrossFit affiliate in 2011. Logan has coached everything from first time exercisers to multi-year CrossFit Games athletes. There isn’t much he hasn’t seen or done in CrossFit. A native Houstonian and resident of nearby Southside Place, Logan believes it is very important to understand the difference between CrossFit as a fitness methodology and CrossFit as a sport. He loves both sides of CrossFit and can help you with whatever your personal fitness goals are. Jaime is a CrossFit Level 1 Trainer and runs the Endurance class at CFCH. He came to Houston from Matamoros, Mexico, to study chemical engineering at Rice, and has been in Houston ever since. He has participated in basketball, baseball, and soccer since he was young, and did the “back and bi's, chest and tri's, who needs leg day?” routine in college. He was in a fitness rut for a few years after graduating, until CFCH opened up 3 minutes from his house. What drew Jaime into CrossFit is how the constantly varied programming simultaneously develops mentally and physically strong individuals while also creating a strong sense of community. His main goal is to help athletes find and surpass their limits both on and off the gym floor. His hobbies include playing with his adorable pit bulls, homebrewing, cooking (and eating! ), mobilizing, and watching back-to-back-to-back reruns of past CrossFit Games. Kevin is a CrossFit Level 1 Trainer. He is a husband and father of (soon to be) two little girls. Growing up in Houston, Kevin played team sports from the time he was three until he graduated high school. He earned a Bachelor’s Degree in Finance from Texas A&M in 2006 where he was a member of the Corps of Cadets. Kevin started CrossFit in December 2012 and what began as a way to stay in shape quickly became a passion. 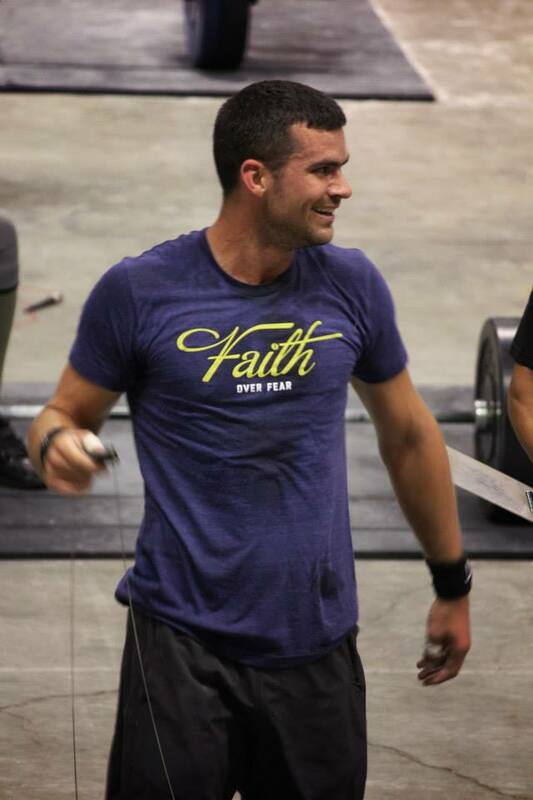 Kevin joined the CrossFit Central Houston Family in July 2014. Above all the physical benefits he experienced since starting CrossFit, what Kevin values most are the relationships he’s made with those in the community. Ashley joined CFCH in October of 2017 when she decided to move back into Houston from Sugar Land after opening up her own professional home organizing business. Ashley found crossfit in 2012 when she was looking for something to challenge her like her first passion did: gymnastics. She did competitive gymnastics and then coached for 13 years before moving on to work at Airrosti for 5 years. She started coaching CrossFit in 2016 and is L1 and CrossFit Gymnastics certified. Ashley really loves teaching the basics of CrossFit because, just like in gymnastics, you need a good foundation to get stronger and stay safe in the sport. She is really happy to be a part of CFCH! !